Birmingham is just the right size to easily navigate for an entertaining weekend. Leave the guys at home where they belong and launch out with your girlfriends. Let’s get this weekend started with some culture. The collection at the Birmingham Museum of Artis one of the finest in the Southeast. 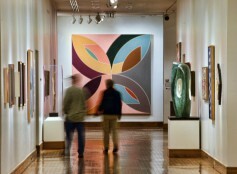 Enjoy a leisurely stroll through the Asian, American, European Decorative, and Modern and Contemporary galleries. 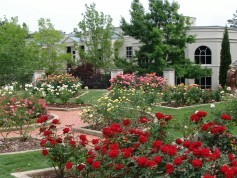 Stay for lunch at Oscar’s at the Museum, set in an airy room with a view of the sculpture garden and a very good menu. Then head out to The Summit, the finest and most entertaining shopping center in the state. Before you go shoe shopping, stop in at Halcyon Days Salon & Spa for gloriously indulgent pedicures and manicures—or to spend longer there for a massage and facial. Luxury! Now you’re prepared for an afternoon exploring this extensive outdoor shopping center in stores such as Saks, Pottery Barn, Gus Mayer, Chico’s, Ann Taylor, bebe, J. Jill, Sephora, and so much more. This spree will require many devoted hours, so wear comfortable shoes over that new pedicure. The Summit has many good restaurants, but for those who want to get to know the city better, start with tapas and a glass of wine or three at The Wine Loft. Then go a block or so over to the trendy Bamboo on 2nd for sushi rolls, noodle bowls, small plates, a variety of skewered and grilled foods and Asian inspired sandwiches and salads. If sushi’s not your thing, drive on over to nearby Ovenbird, another trendy chef-owned eatery with quite the selection (no reservation required). Are you party women? If so, Birmingham has plenty of nightlife. Try The Collins Bar, a very hot drinking spot with a killer spin on craft cocktails. Also in the same vicinity is Rogue Tavern, which often has live music and always has cold beer. You’re going to be out and about today, so dress accordingly. Fortify yourself with Saturday brunch at El Barrio Restaurante Y Bar on the bustling 2nd Avenue North. Pair your Bloody Maria or Sweet Iced Mexican Coffee with Breakfast Sopaipillas or A.M. Burritos. While you’re in the area, walk over and check out Charm, a charming little shop offering new, vintage, and handmade jewelry, handbags, and scarves along with other tempting inventory. Then it’s off to Red Mountain Park for an afternoon of hiking, biking, and general outdooriness. If you’re feeling adventurous, try the Ziplines over the canopy of trees in the park, or climb and rappel—seek out all the adventure! Their well-trained adventure guides are there to travel the course by your side. Now that you’re warmed up, go on over to downtown Railroad Park. Here you can cheaply rent the new ZypBikes and go on a biking tour of the downtown area, which is flat and easily ridable. And after you’ve been pedaling for a while, the Zyp electric pedal assist bike will assist you with a little extra zip when you need it most. In addition to Railroad Park, other locations around the city have ZypBike kiosks. Could be y’all aren’t interested in outdoor adventure. If that’s the case, go straight from El Barrio out to the spa at Ross Bridge. Reservations are required, of course. Choose to spend an hour or the entire day being pampered with steam rooms, whirlpools, 10 spa treatment rooms, and a full salon. Time now to make evening plans. If you like live theater, Birmingham has a number of very good theatrical companies with performances regularly underway. Before your visit, check the schedules at Virginia Samford Theatre, Red Mountain Theatre, Terrific New Theatre, the beautiful and historic Alabama Theatre, and the newly restored Lyric Theatre. Maybe you’d prefer to pursue some more good watering holes. Try Avo Restaurant and Dram Whiskey Bar in the heart of the tony Mountain Brook neighborhood. For a more laidback atmosphere, go to The Blue Monkey. “The Monkey,” as it’s affectionately called, is a late-night, basement-type club that attracts an eclectic crowd and serves a nice Cosmopolitan. Rise and shine with brunch at Galley & Garden, where the Bloody Mary mix is homemade and the mimosas are freshly squeezed. Try the Southern omelet with housemade sausage or the pan seared Norwegian salmon. If you have time before you leave town, visit the Birmingham Botanical Gardens, which is beautiful any season but especially so in the spring and summer months.